Beautiful waterfront home overlooking a sparkling pool and canal leading to the beautiful Gulf of Mexico. This 3 bedroom 2 bath located in Sea Ranch, has open concept windows and has been completed upgraded with a large kitchen with plenty of cabinets, new stainless steel appliances and glass tile backsplash. It features waterproof and stain resistance flooring that has the elegance of hardwood floors throughout the home. This newer roof, freshly painted exterior, new electrical panel installed in 2017, new AC and new pool equipment all in 2018 and much more. 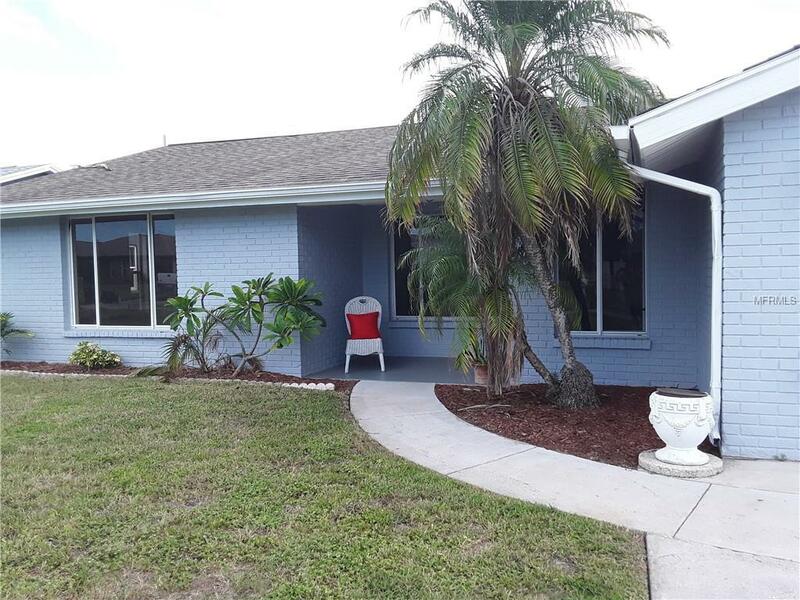 This home is only 5 minutes from restaurants, three marines and Robert J. Strickland Memorial park, also known as Hudson Beach, all located on Gulf of Mexico. You can have it all - boating, canoeing, kayaking and fishing with access to the Gulf, or just watch the sunset. A MUST SEE HOME to your own paradise. Listing provided courtesy of Pat Kaylor Properties, Inc..